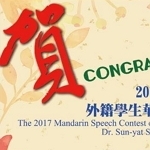 October 2017 will mark the 55th Anniversary of the establishment of the International Chinese Language Program (The former Stanford Center, or the Inter-University Program) at National Taiwan University. 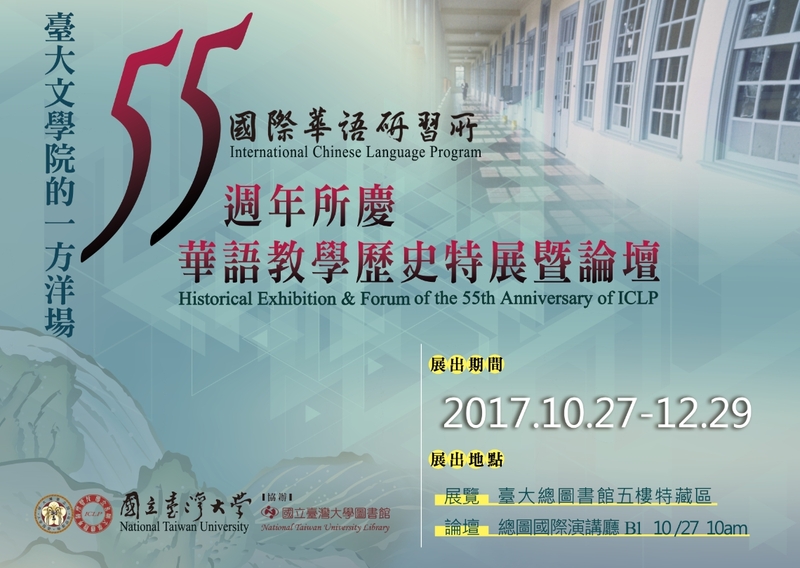 ICLP traces its roots back to the early 1960s, with the establishment of the "Center for the Study of Chinese Culture" by Stanford University in 1962. In 1963 the program grew to include other leading American Universities, and subsequently changed its name to the Inter-University Program for Chinese Language Study (IUP). 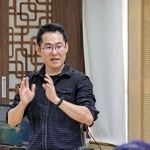 In 1997 IUP was brought under the administration of National Taiwan University, and entered its current incarnation as the International Chinese Language Program (ICLP). Despite the occasional renaming, ICLP continues to proudly uphold and embody the academic rigor and strenuous methods which were first imbued in the Stanford Center at its creation, by providing the most refined and effective Mandarin language instruction available today. You are cordially invited to join these events to share our joy and pride.